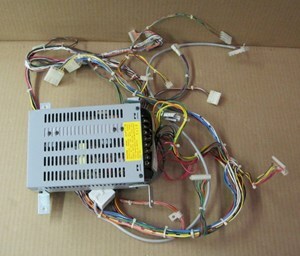 Includes all of the board related wiring. Original Midway Cruis'n USA arcade game wiring harness. We found this harness with an original Cruis'n USA boardset, appears to have all of the connectors that go from the main the board to the controls, video, coin door, etc. as well as the power supply. The AC portion of the harness is not there. See picture for more details.